Plot size is 30qm. Perfect view over the village, the mountains and the sea. Old palm trees provide shade and the large pool (10x15m) is surrounded by olive trees and oleander. There is a sauna in Moroccan style. 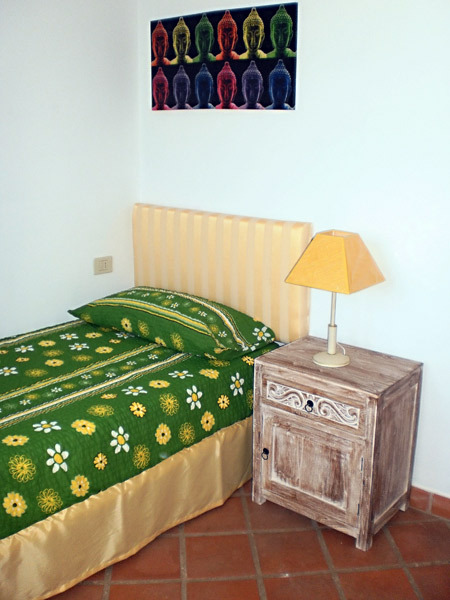 Almendras Suite can be rented complete or in single units. Only a few kilometers from the sandy beaches in the south and 5 to 15 minutes drive to all 5 golf courses. 2Km above from Tamaimo on a more groomed Finca (10.000qm) with nice view. The apartment is inside the main building of the Finca and has a seperate entrance. Pool-complex with enough sunchairs, sauna, Bodega. Living room, double bedroom (2x 1mx2m), bath and kitchen (with 4 ceramic glass cooktops, oven, microwave, fridge-freezer, coffee machine, water boiler and toaster etc.). Bath with bathtub and shower. Luxury equipped in Andalusian style. Occupancy of max. 2 persons. Obligatory cleaning is one day rental price. Almendras-No.1 can be rented too. Almendras-No.2 can be rented too. Almendras-guest house can be rented too. 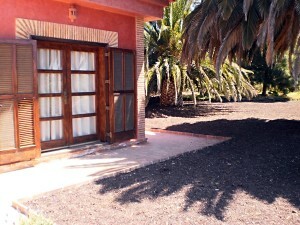 Renting the complete Finca: 515,-€/day. At that time there is a minimum rental period of 10 days.